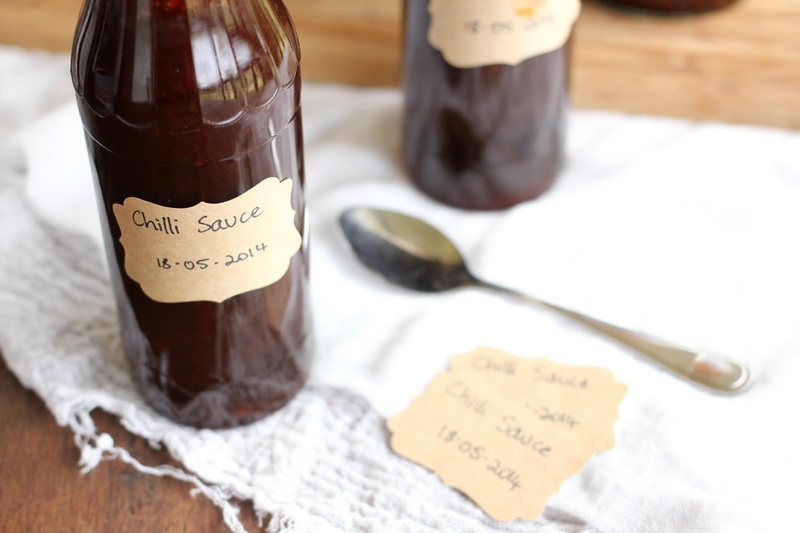 You all seemed very interested in my Mum's Chilli Sauce recipe so I thought I'd better get it posted sooner rather than later. It's not a sweet chilli sauce but's it's not too spicy, of course the chilli you use will also affect this. I hope you enjoy! You can use any chilli for this recipe, Thai Birdseye, Jalapeno, the long Hungarian Chillis. Use red as they give the sauce a better colour. 300-500 grams fresh seeded chillis. If you like it really hot use 500g and leave some of the seeds in. 100 grams fresh root ginger. The sauce thickens slightly on cooling so allow for this. *Rapadura is available from all good health food shops and online stores (Bulk Whole Foods is a good source). It is simply the juice from sugar cane dried out. It's also usually organic. It's much healthier than White sugar, retaining many of it's vitamins and minerals that other sugar loses in processing. You can of course substitute White sugar, your sauce just won't be as dark. I hope you enjoy Elizabeth! Yum! We didn't grow any chilli this last summer but I'm definitely going to put some in this spring. 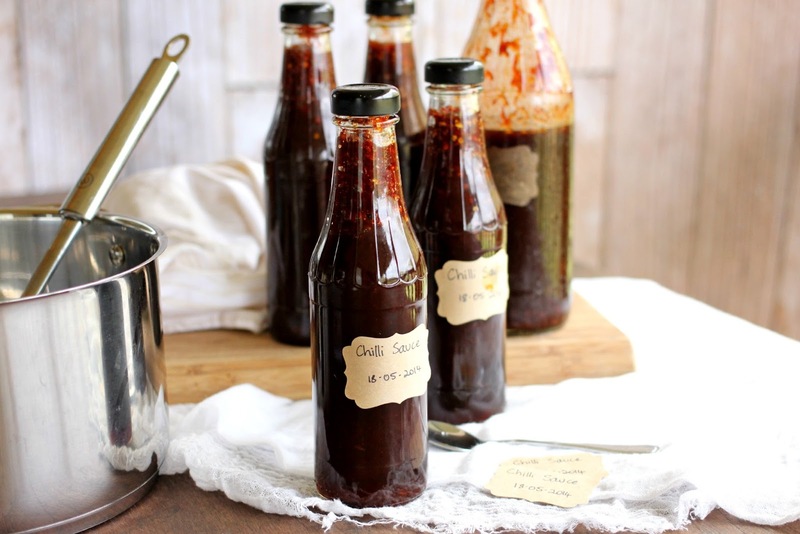 Would love to have a go at making my own chilli sauce!